With winds of up to 185 miles per hour, sustained for over 24 hours, she is one of the most powerful storms to ever emerge from the Atlantic Ocean. While us Floridians are still unclear about where she’s headed, she’s already passed through the northeastern Caribbean islands and destroyed about 90% of Barbuda. 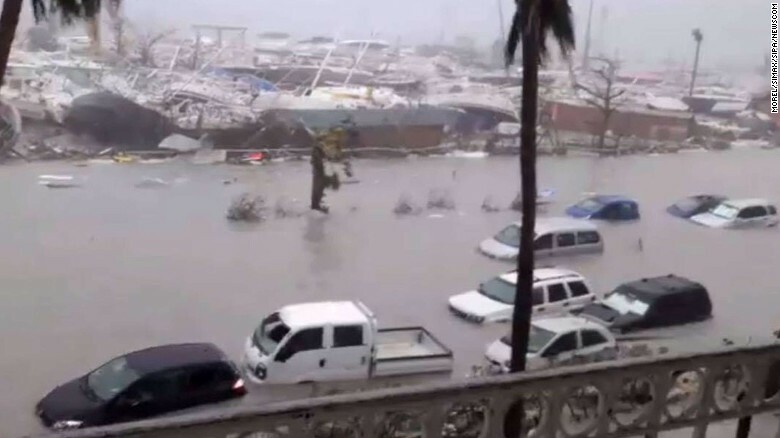 St. Martin after Irma, hit. Credit: CNN. Floridians are notorious for making jokes regarding hurricanes because of the many false alarms we’ve experienced over the past 10 years. We haven’t had a major storm since Wilma in 2005 and we haven’t had a catastrophic storm since Andrew in 1992. To be completely honest, I wasn’t really worried until my mom, who lives in Miami, called me earlier and told me she was thinking about evacuating tomorrow morning. Before I knew it, I’d spent two hours in the internet vortex that starts with Google’s home page and seen everything from all of the hurricane’s possible projections, to the ways people died during Hurricane Katrina, to videos detailing Andrew’s impact on Miami. I tried to distract myself by listening to music, doing homework (LOL), and cleaning, but nothing could get those thoughts out of my head. I am alive and well at this very moment, and I should be grateful for that. If there is a plus to anxiety, it’s that I was worried enough to go stock up on water and gas at 7AM so I beat the lines and now have the necessities. While there may be nothing I can do to control the storm’s impact, I can take this time to remind my loved ones to prepare as well. …Class will probably get cancelled. While we’re spending all this time talking about what we should do to keep ourselves safe physically—which is important—I just wanted to take the time out to write this brief entry so that those who are struggling mentally have some form of support as well. I urge you all to take this time to prepare for the storm. It looks pretty ominous. But in the meantime, please don’t forget to breathe.